STEM subjects (Science, Technology, Engineering and Mathematics) have been traditionally thought of as heterosexual, masculine fields and the thought of this can be quite intimidating for those just starting out in the field who don’t fit this mold. This project showcases LGBT people in the STEM fields, showing the diversity of people that can be found in roles all across the STEM disciplines and hopefully providing some role models for people who are either at a junior stage in their careers, or who are only currently considering the possibility of going into a STEM field. The future of Science relies on innovation, and the way to get it is to make sure that people from all walks of life enter the profession. LGBT individuals are an important part of this diversity. 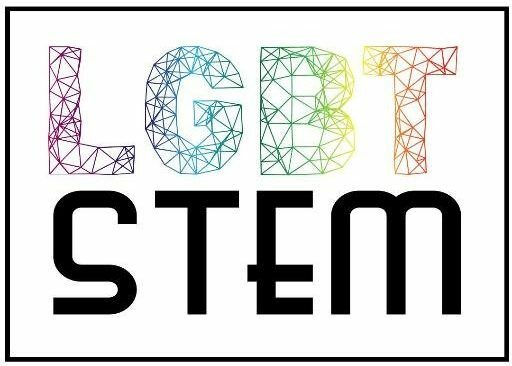 For more information on LGBT STEM, contact Beth Montague-Hellen or Alex Bond at stemlgbt@gmail.com. Pride in STEM – A charitable trust run by an independent group of LGBT+ scientists & engineers from around the world. I would like to know more about future meetings/conference/gatherings. Where can I find this information ? It is not clear on the lgbtstem website. I am interested to attend future events. Is LGBT STEM doing any specific attempts to make connections with lgbt+ people of colour in stem? I would love to read profiles from people of colour in STEM, especially by women and gender-variant/ trans scientists. We’d love to have more people of color (we are woefully lacking, I know) – if you know someone who might be interested please put them in touch. Where are all the ‘STEM T’s” this all seems to be LGB orientated, I am trying to persuade the biggest nuclear company in the UK to send me and an ally to 2018 STEMinar, and wondering if I’ll be welcome. Also seems to be very much weighted on the academic side is it? Hi Andi, we have quite a lot of T profiles (and are always looking for more) and we have had trans presenters at both the previous conferences – this has been a priority for us. We have had difficulty recruiting trans-masculine people, but this is an area we are currently targeting. https://lgbtstem.wordpress.com/2016/01/05/an-interview-with-charlotte-sophia-mccarroll/ , https://lgbtstem.wordpress.com/2015/09/28/an-interview-with-ruth-mills/ , https://lgbtstem.wordpress.com/2017/01/04/an-interview-with-ashley-spindler/ . Although it its quite academic, and is modeled on an academic conference, we have also had lots of representation from industry previously. You would be very welcome. Hi I was wondering if this organization has any programs such as financial support or a scholarship for LGBTQ+ people wanting to go into a STEM career. Hi Sarah – we don’t, but check the National Organization of Gay & Lesbian Science and Technology Professionals (NOGLSTP), or Out in STEM (oSTEM), which are based in the US and offer some scholarships.